Tonight, Tuesday March 13, will be the second of three Town Hall style meetings regarding the upcoming Barnsdall Public Schools Bond. The Bond Issue Community Meeting will take place this evening at 7pm in the Fine Arts Building at Barnsdall High School. The final meeting is scheduled for Thursday, March 29, at 7pm in the Fine Arts Building. 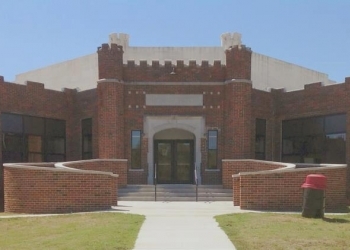 The Barnsdall School Bond will address the dire state of the Schools facilities to conduct necessary repairs and address water drainage. The bond will also see renovation to the “old pool building,” converting the space into an Administrative building, Student Activity Center, and Family and Consumer Science Classroom. A new Athletic Building is proposed which will house new wrestling and cheer-leading mats, two multi-purpose locker rooms for home and away teams, a new weight room, coaches offices. The School Bond vote is scheduled for April 3, 2018 and needs a super majority, 60 percent plus one, to be approved. The previous school bond failed by four votes.